Brought into societal awareness by the buzz surrounding Bitcoin, blockchain has found a life of its own as an intriguing catch-all technology with mysterious but seemingly limitless potential. However, though it has been cited as the solution to any and every problem you care to consider, much uncertainty remains about its real practical applications. Almost every business can benefit from trusted transactions. All unwarranted mysticism aside, there’s nothing inherently special about blockchain technology. It essentially just establishes a universally-accessible record of anything you choose to log, with each update independently verified before being accepted, and in doing so removes the need for direct organizational oversight — along with the risk inherent to that kind of oversight. Using blockchain, you can create a set of data (often transactional, but not necessarily) that you can trust to be accurate and kept beyond the reach of any company, no matter how large, rich or powerful. And since almost every business in the B2C world will at some point need to store data (both for and regarding its customers), being able to offer outstanding data security has value across the board. 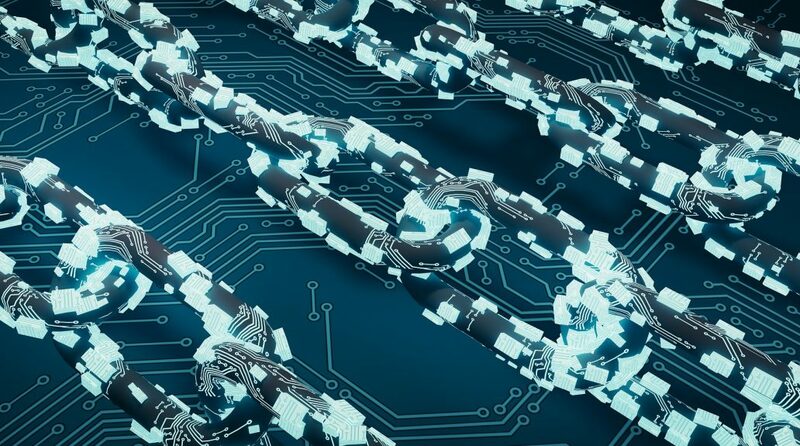 The benefits don’t stop at companies that store financial details, because blockchain can also be used for collating information from numerous links of a chain to provide the end user with details they can believe. Think about industries rife with fraud, such as jewelry: a seller can track a necklace from creation to checkout, but with their vested interest in making a profit, the buyer can’t really trust that information. Using blockchain, every step along the way — the sourcing of the materials, the making of the item, the creation of the packaging — can be fully authenticated. Most people now do a large portion of their shopping online, but that doesn’t mean that the ecommerce model has been perfected. There are still reasons to be reluctant about placing an order, whether resulting from concerns about authenticity (of the kind we just looked at) or worries about financial security — the numerous data leaks of recent years have made people justifiably skeptical about the safety of their payment details. Not only can blockchain technology clear up these concerns, but it can also swallow up a lot of the order tracking process. Order fulfillment goes through stages, and sometimes those stages are lost, leading to customer confusion and anger: Something may be listed as shipped, but no one can find it. This is surprisingly common, particularly with third-party merchants and/or international shipments. Using blockchain, every update can be fully confirmed before going ahead. That way, when something is listed as “shipped,” it should genuinely mean that the item has shipped — and if there’s an issue along the way, it should be easy for the store to identify what went wrong. There are two main uses for blockchain at the moment: you can implement it to secure and decentralize data, whether transactional or otherwise (precisely what it’s designed to do), or you can glue it to any system you care to mention and present it as being inherently valuable. Unfortunately, we’re seeing a lot of the latter, and it’s given rise to skepticism about the value of this technology. “It uses blockchain!” doesn’t really mean much to the average consumer. The future is all about the former, and if you intend to use blockchain tech for your business, you need to figure out how you’re going to present its benefits. Otherwise, you can use it to raise the security level of your data, but your customers won’t know the difference and you won’t get much value from the change. If you use blockchain technology to store data, clearly explain why you’re doing it, and explain to people the precise benefits you’ve derived. Instead of looking at it as a hot trend, view it as a fundamental upgrade to the security of your system and as a cornerstone of your reliability as a company. You might want to sell your business one day, after all, and it isn’t the appeal of your website or the size of your premises that will make the difference in how people perceive the value of your company — it will be the strength of your brand. All things considered, then, does blockchain have any B2C applications? Yes, it does — just as many applications as it has in the B2B world, because it’s all about establishing safe and trustworthy data. The main difference is that it’s going to be more of a challenge to explain the value of blockchain to a B2C audience. If you’re going to invest in it, make sure you tweak your messaging to get the greatest return on that investment. Victoria Greene is an ecommerce marketing expert and freelance writer who’s curious to see how the perception of blockchain will change in the coming years. You can read more of her work at her blog Victoria Ecommerce.